Priya Hingorani was born on March 27, 1967 in New Delhi to lawyer parents, Late Mrs. Kapila Hingorani, Barrister, and Mr. N.H. Hingorani, Senior Advocate. She completed her schooling from Sardar Patel Vidyalaya, New Delhi. Thereafter, she graduated in B.A. English (Hons.) from I.P. College for Women, University of Delhi and completed her Bachelors in Law (LL.B.) from the Faculty of Law, University of Delhi.Has always been a keen sportsperson and has represented the Delhi State as well as the University of Delhi in Basketball. Her other interests include music, theatre and travelling. 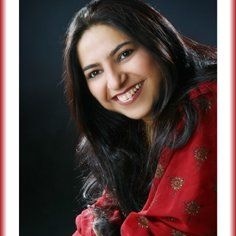 Has been in active law practice since the year 1990 when she was enrolled as an Advocate with the Bar Council of Delhi. Her primary practice has been in the Supreme Court of India, and has also appeared in the High Courts of Delhi, Kolkata, Mumbai, Punjab & Haryana, Odisha, Jharkhand, Bihar, Uttarakhand and Jammu & Kashmir as also Tribunals and subordinate Courts. Has handled matters pertaining to diverse fields of law, including taxation, customs and excise, insurance, family and matrimonial law, commercial law, labour and service law, human rights and constitutional law. A list of some of the reported judgments of the Supreme Court of India is annexed hereto. Has worked with Dr. Debi Prasad Pal, Senior Advocate, and former Minister of State for Finance. Assisted Dr. Pal on important matters relating to taxation (direct and indirect), customs and excise before the Hon’ble Supreme Court and various High Courts in India.